On April 5th - Great and Holy Tuesday - the faithful parishioners of St. George Serbian Orthodox Church in Lorain, Ohio, joined their orthodox brothers from St. Mary Ukrainian Church to greet and welcome their Archbishop, His Eminence Daniel (Zelinsky), by whom Holy Liturgy of Presanctified Gifts was officiated, starting at 6 pm. 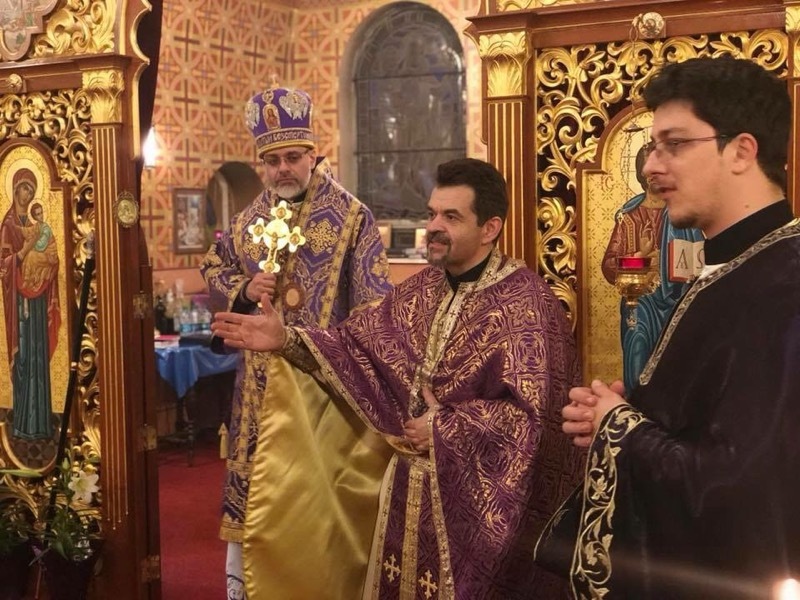 Among the many priests from the Ukrainian Church, also present in service with His Eminence was St. George's parish priest Rev. Sinisa Hrvacevic. After Holy Liturgy all present faithful and clergy joined His Eminence in Agape prepared by sisters from St. Mary parish. 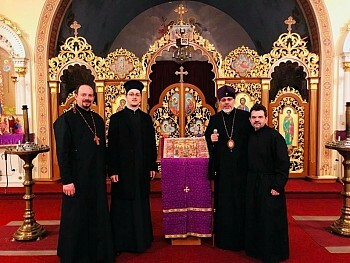 It was truly a divine blessing in these Holy Days that orthodox faithful and clergy from different jurisdictions were able to gather together in prayer and witness to the unity of all orthodox christians, for we are One, Holy, Universal and Apostolic Church!